SEAMAN JOB INFO - Opening maritime career for Filipino seaman crew join on VLCC deployment November 2018. Please pm or send resume at jgonowon@ptc.com.ph or reach me at 09988417220. 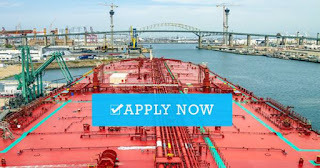 0 Response to "Fitter, Pumpman, Wiper For VLCC"